The grades I hand out to myself do not place me in literary history. I am comparing myself with myself. Thus can I give myself an A+ for Cat's Cradle, while knowing that there was a writer named William Shakespeare. His only novel I have not yet read. I agree. A fun, well-executed sci-fi parable. I would say A-, worth reading but has a few glitches. I agree, or even say A++; his best book by far. 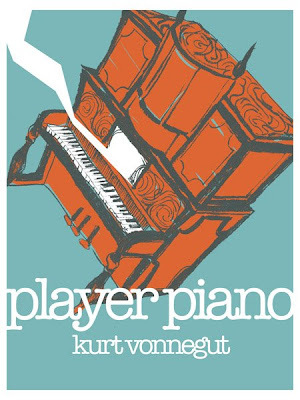 Really didn't do it for me, I would say B-, but perhaps I was suffering from Vonnegut fatigue at that point. I agree. Rightfully celebrated as a great literary accomplishment, though not as starkly original or entertaining as Cat's Cradle. Sounds about right. An uneven collection of stories. He's being too harsh, I would give it a solid B, it has a lot of good ideas in it, even if it is a bit scattered. I agree. A totally unnecessary collection of odds and ends. I agree. An uninteresting idea, executed poorly. His worst book. Again, Vonnegut fatigue. I'd give it a solid B. It's kind of funny that he gives such a low grade to this book as he's writing it, and mentioning it in the book itself (admittedly, only towards the end of the book), but I would agree. In general his novels are much better than his autobiographical essays or "collages". Standard mid-level vonnegut. If you're a fan you'll like it, but it's nothing special. Pretty good book with some entertaining literary schticks. I really liked it, especially for its amusing depictions of American minimalist artists. Smart and Funny. His best book from his later period. Like Palm Sunday, a collection of somewhat autobiographical writings, and thus not all that great. 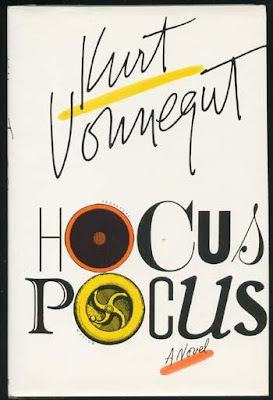 It's nice to see Vonnegut's famous creation Kilgore Trout again, and in such a central role, but the book is a bit creaky. Originally broadcast on the radio. Very brief, rarely insightful, and only occasionally entertaining. A collection of less successful early stories not included in Welcome to the Monkey House. A rehash of old ideas and jokes (from Timequake, Hocus Pocus, Slaughterhouse 5 and others) some of them updated to fit the current events of the time (e.g. Bush's War on/of Terror). 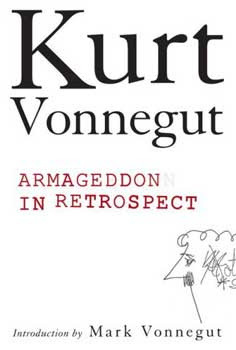 I haven't read Vonnegut's posthumous Armageddon in Retrospect , but since it's a collection of essays I probably wouldn't have ranked it that high anyway. Look at the Birdie , a collection of fourteen previously unpublished short stories, doesn't seem too promising either - if Vonnegut deemed these stories unworthy of inclusion in the two previous collections, which had some not-so-great stories, they must really be sub-par. 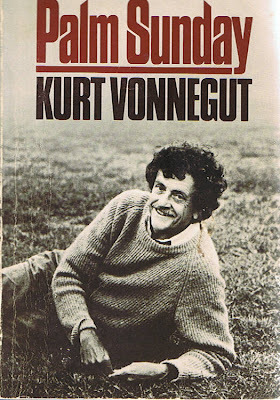 Audience of Two authority/biographer Grover T. Boswell once wrote a column grading his previous columns, perhaps inspired by that section of Vonnegut's Palm Sunday. Story of my life - everywhere I go, Boswell's been there before. This is like my first marriage all over again.